Come visit | Kona Brewing Co.
Kona Brewing currently has two locations on the islands open with a third on the way. Between the three, you’ll find plenty of food, beer (and more beer). It doesn’t get better than that. Kona Brewing Company also produces our bottled beer and mainland draft beer in Portland, Oregon, and Portsmouth, New Hampshire as part of our partnership with Craft Brew Alliance Inc. Under strict guidance, we also brew and bottle our beer with our brewing partner in Fort Collins, Colorado. To learn more about how we work with ecological integrity to reduce our company’s carbon footprint, visit the "Green Matters" section on the Our Story page. Kailua-Kona on Hawaii’s Big Island is the site of our brewery and first restaurant. The brewpub opened in November 1998. In true Aloha spirit, we opted to make it out of locally-sourced materials, and we even built a 2,000 square-foot outdoor lanai that lets you kick back and breathe in the fresh island air. Inside the brewpub, you can spend a few hours lounging at our masterpiece U-shaped Koa bar with great grub and great beer. Brewery tours are available daily, and the Growler Shack is also open daily, serving beer-to-go. We look forward to welcoming you on our Kona Brewing Tour! Please see link below to view our calendar for times and availability. Children under 15 years old are not permitted. 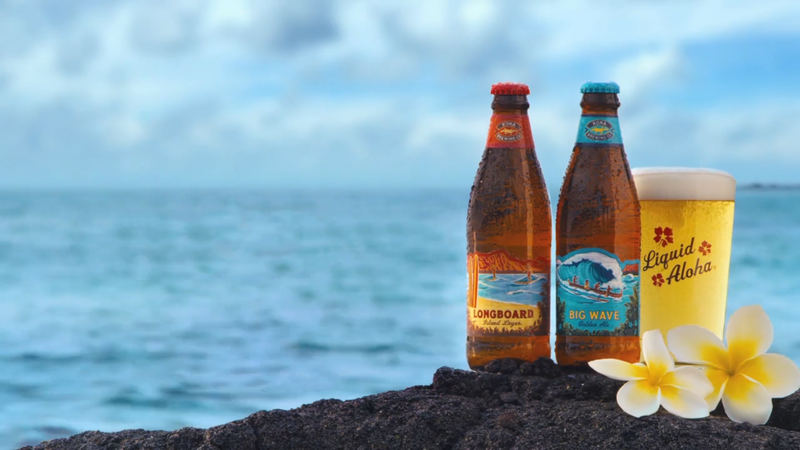 The tour takes place at our Kona-Kailua Brewery on the Big Island of Hawaii. It only costs $15, will last approximately one hour and includes a complimentary KBC gift, four 4oz beer samples for those +21, and a fun and informative tour from our awesome Liquid Aloha guides. Please give us a call at 808-334-2739 and request the Growler Shack (ext. 4215) with questions. On the 1st and 3rd Friday of every month at 5:00pm we will tap a new firkin featuring one of our beers with unique ingredients added! After a year-long search, we’ve finally settled on the location of our newest brewery — and it’s right in our hometown of Kailua Kona! Our new, 30,000 square-foot brewery will be down the street from our original Kona Brewery and Pub and we’re thrilled to say that it will be one of the most sustainable breweries in the world. With our partners at Purpose Energy, we’ll recycle the organic brewing byproducts to produce electricity, heat, and clean water for the brewery. And on top of that, we’ll also be increasing draft production so that even more people can tap into our Liquid Aloha.